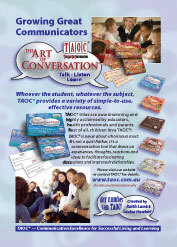 TAOC® is a best-selling, award winning series that has been professionally researched and developed to revive The Art Of Conversation® and promote stronger, happier relationships. 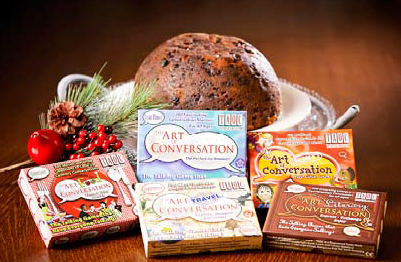 With a natural gift for lateral thinking, and a learning and respect that comes from interaction and the sharing of ideas and experiences with a diverse range of people from around the globe, the Art of Conversation represents much of her vast experience and is shared with her extraordinarily talented creative partner, Keith Lamb, who developed the original concept. TAOC® is suitable for all ages. It’s not a quiz and never about who knows most. Rather it provides the ideal blend of fun, interesting, thought-provoking ways to enjoy relationships as you get to know others, and yourself, better. Simple to use, with at least 9 different variations on “play”, TAOC® helps develop effective communication, with the myriad benefits that brings to you and your relationships. The only knowledge needed to successfully contribute to TAOC® is your own life experiences, interests and ideas. TAOC® may be used thousands of times with continuing interest and pleasure and suits all ages as it may be played at various levels). Each time TAOC® is used, new and harmonious outcomes evolve. TAOC® also has excellent Educational, Therapeutic and Corporate applications. Available also as an app. 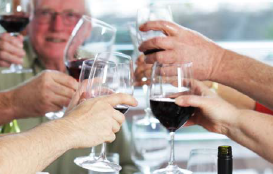 TAOC® is a fabulous way to make dinner parties, barbeques, holiday occasions and all get-togethers of family, friends and new acquaintances fun and memorable! The Card Game that encourages Healthy Communication in Romantic Relationships. 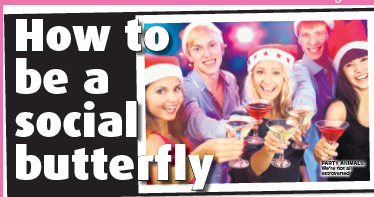 Have you ever felt just a little envious of the social butterflies in your midst? Let's get talking. Dreading the dull moments as you drive from one relative’s house to the next this Christmas? How to improve your relationships through the art of conversation!